TikTok has been creating a buzz in the last few years and continues to with it’s whopping 500 million growing every day. Let’s recap, Tiktok was launched in 2016 as a video platform where people could share and edit videos. Since then it has garnered an impressive following and is currently used in more than 150 countries. The trend is leaning towards the younger generation; as such, it is predominantly used by the youth. To get an insight as to why most promoters and influencers are taking to TikTok, it’s important to understand that the consumer chart indicates most of the customers are from the younger generation. 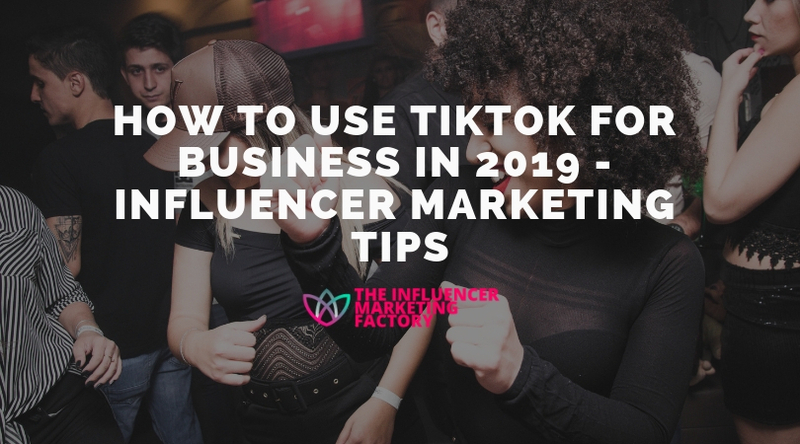 Here are some tips on how to include TikTok on your influencer marketing tools. Generally, there are two main areas, the homepage, and the discover page. Once you launch the app, you are taken directly to the homepage. Here you will see some of the trending videos and the top video creators. As you explore the app and start following other people you can see more content. Nonetheless, one of the unique aspects of the app that make it an attractive tool for influence marketing is that you dot nee to follow anyone to get a piece of the experience. The discover feature, on the other hand, allows you to explore using hashtags, trending challenges and other users. As is with most platforms, TikToK allows other users to view content from their followers or following. Moreover, you can see the number of followers who they are following. TikTok videos last for 9-15 seconds; the native infeed videos must be 9-15 second in length. The content will be displayed in full screen much like how Instagram stories are displayed and are skippable. They support multiple features such as website clicks or app downloads. The impact the video has is measured by the number of clicks, impressions, CTR, video views, play duration, and video interactions (like share and comments). In this category, images, GIFs and videos can be used. The embedded links can be connected to websites landing pages or challenges and hashtags within the platform. The brand takeovers are exclusive to one brand every day. This category offers impressions, unique reach, and clicks. This form of ads is used when brands choose to use promoted hashtags. In this category, the hashtag challenge will contain a link that directs the users to the main challenge page where they can see the details of the challenge and the featured instructions. Hashtag challenges can be measured by video interaction, clicks, banners views, and similar user-generated videos. With the promising outcome the application has had in the last few years since its debut, TikTok is undertaking initiatives to make it more engaging. One of the prospective projects picked up by the company is the branded lenses. 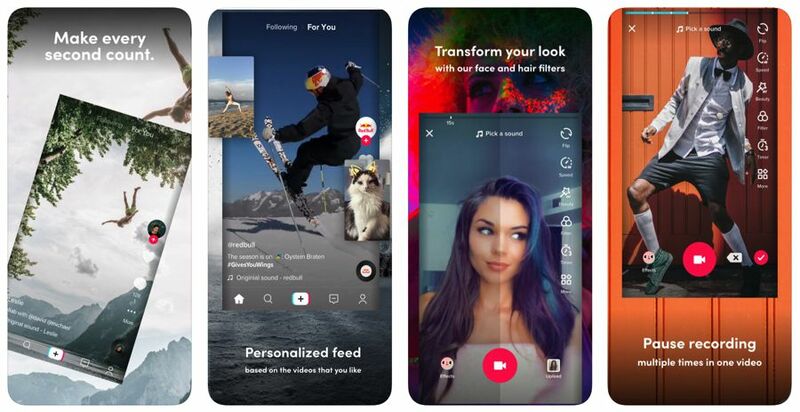 Much like the Snapchat 2D and 3D lenses for photos and faces, TikTok plans to make their platform could possibly infuse the feature to their application. The most important aspect of using TikTok as a successful influence marketing campaign is user participation and interaction with your content. One classic example of user interaction used in the right way is when a restaurant allowed its customers to send in their off the menu dishes. As the users yearned to get their off-menu dishes featured by the restaurant, they also promoted the brand name and shared the experience with other users. Success on TikTok mainly lies within creating a unique perspective to allow the users to interact with your content without giving off a forced perspective. Truth be told, it’s not every day that brand spay influencers to experiment and come up with fun content. However part of TikTok as a unique tool for influencer marketing in 2019 is that you don’t need high quality or highly polished content to make the required impact. Ultimately, originality should be the driving factor as opposed to quality. Users on TikTok seem to appreciate the corny and silly side content promotion. User reaction should guide you on how to best influence prospective buyers. Hashtag challenges are an essential part of the platform and the TikTok community. At any given moment, whether you are a seasoned or testing the waters, you will realize there are a handful of challenges to participate in at any given moment. The challenges are all about recreation and iterating the video with some new idea. With the right branded hashtag challenge and the TikTok app, the rest is left to the TikTok community. People interested in the challenge can participate in a few easy steps. TikTok has proven to be an essential tool in influencer marketing for most brands. With the tips above, you don’t have to miss out on the great movement. While you can opt to use the paid option to promote your brand, and working with certified influencers, the underlying platform features are enough to make your brand successful.